The stainless steel knife block is NSF Certified. The unit is designed for countertop use. The stainless steel knife block has black insert. The unit's insert is easily removed for cleaning and is dishwasher safe. 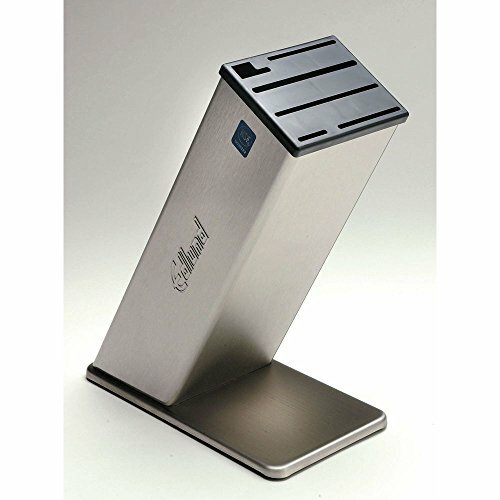 The stainless steel knife block is 12 x 5 1/2 x 10 inches (H x W x D). The unit holds up to eight pieces. If you have any questions about this product by EDLUND COMPANY INC, contact us by completing and submitting the form below. If you are looking for a specif part number, please include it with your message.